The Catholic Church extends across all boundaries and gathers people together from every race, language, and way of life to form the one Body of Christ. Her mission is to make the presence of Jesus tangible in today’s world and to reveal to us what God is like. 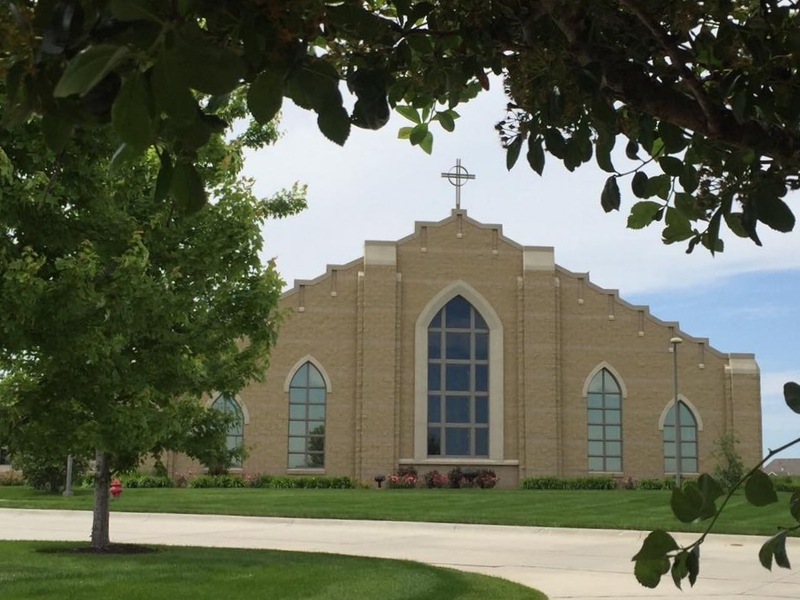 As a part of the Archdiocese of Omaha in union with the Pope in Rome, we the people of St. Charles Borromeo Parish, recognize that while we are but a small part of the Church Universal we share in her mission to reveal the presence of God to everyone. St. Charles Borromeo Parish was erected in 2005 by Archbishop Elden Curtiss. Fr. Norman Hunke was appointed the founding pastor of a community of approximately 75 families. Mass was first celebrated in the gymnasium of Gretchen Reeder school until the present facility was built in 2010. The current structure consists of a temporary worship space, a gymnasium, kitchen, and parish offices. As the newest parish in the diocese we have grown to a membership of 750+ households and are continuously working on developing our pastoral and strategic plans for the future. Our patron, St. Charles Borromeo, was an outstanding figure of the Catholic Reformation of the 16th century. He was instrumental in correcting the errors of Protestantism, establishing seminaries for the proper formation of Priests, and bringing authentic and faithful reform to the Church. Additionally, he was well known for his humility and service to the sick and dying. Our parish, being dedicated in his name to almighty God, strives to make visible this same commitment to the teachings and mission of the Catholic Church. "Unless the LORD build the house, they labor in vain who build." to the likeness of Christ. as we discern how You are calling us to grow as a parish. all for the praise and glory of Your Name.